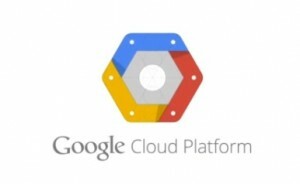 I went to Google’s Cloud Platform Roadshow in London today, nominally to feed my need to try and rationalise the range of their Cloud offerings. This was primarily for my potential future use of their infrastructure and to learn to what I could of any nuances present. Every provider has them, and I really want to do a good job to simplify the presentation for my own sales materials use – but not to oversimplify to make the advice unusable. Technically overall, very, very, very impressive. That said, i’m still in three minds about the way the public cloud vendors price their capacity. Google have gone to great lengths – they assure us – to simplify their pricing structure against industry norms. They were citing industry prices coming down by 6-8% per year, but the underlying hardware following Moores law much more closely – at 20-30% per annum lower. I think it’s notable that as soon as Google went public with that a few weeks back, they were promptly followed by Amazon Web Services, and more recently by Microsoft with their Azure platform. The outside picture is that they are all in a race, nip and tuck – well, all chasing the volume that is Amazon, but trying to attack from underneath, a usual industry playbook. One graph came up, showing that when a single virtual instance is fired up, it costs around 7c per hour if used up to 25% of the month – after which the cost straight lines down. If that instance was up all month, then it was suggested that the discount of 30% would apply. That sort of suggests a monthly cost of circa $36. Meanwhile, the Virtual Instance (aka Droplet) running Ubuntu Linux and my WordPress Network on Digital Ocean, with 30GB flash storage and a 3TB/month network bandwidth, currently comes out (with weekly backups) at a fixed $12 for me. One third the apparent Google price. I’m not going to suggest they are in any way comparable. The Digital Ocean droplet was pretty naked when I ran it up for the first time. I had to very quickly secure it (setting up custom iptables to close off the common ports, ensure secure shell only worked from my home fixed IP address) and spend quite a time configuring WordPress and associated email infrastructure. But now it’s up, its there and the monthly cost very predictable. I update it regularly and remove comment spam volumes daily (ably assisted by a WordPress add-in). The whole shebang certainly doesn’t have the growth potential that Google’s offerings give me out of the box, but like many developers, it’s good enough for it’s intended purpose. I wonder if Google, AWS, Microsoft and folks like Rackspace buy Netcraft’s excellent monthly hosting provider switching analysis. They all appear to be ignoring Digital Ocean (and certainly not appearing to be watching their churn rates to an extent most subscription based businesses usually watch like a hawk) while that company are outgrowing everyone in the industry at the moment. They are the one place that are absorbing developers, and taking thousands of existing customers away from all the large providers. In doing so, they’ve recently landed a funding round from VC Andreessen Horowitz (aka “A16Z” in the industry) to continue to push that growth. Their key audience, that of Linux developers, being the seeds from which many valuable companies and services of tomorrow will likely emerge. I suspect there is still plenty time for the larger providers to learn from their simplicity – of both pricing, and the way in which pre-configured containers of common Linux-based software stacks (WordPress, Node.js, LAMP, email stacks, etc) can be deployed quickly and inexpensively. If indeed, they see Digital Ocean as a visible threat yet. In the meantime, i’m trying to build a simple piece of work that can articulate how all the key Public Cloud vendor services are each structured, from the point of view of the time-pressured, overly busy IT Manager (the same as I did for the DECdirect Software catalogue way back when). I’m scheduled to have a review of AWS at the end of April to this end. The presence of a simple few spreads of comparative collateral appears to be the missing reference piece in the Industry to date. ← Great Technology. Where’s the Business Value?